I have a problem that was discussed in the following link but never resolved. I'm unable to reply to that thread, so I've created a new one in the hope that someone might be able to help. http://social.technet.microsoft.com/forums/en-us/windowsserver2008r2general/thread/74C2C9CA-F8C1-4C37-BC8C-CD074CE0C6CD?prof=required I have two Windows 2008 R2 servers, and I'm trying to copy large (minimum 50GB) files back and forth between the servers. If I copy a 50GB file from server 0 to server 1, the transfer rate stays at just below 1 gigabit/sec on a gigabit switch. However, if I copy a 50GB file from server 1 to server 0, the copy begins at just below 1 gigabit/sec, but once the amount of data transferred is equal to the amount of available RAM on server 0, the transfer rate steadily decreases (will continue to decrease rapidly and might level off at just 50 megabit/sec). It doesn't matter if the file is pushed or pulled. Server 0 is a Dell PE2950 with 24GB of RAM and 2 dual core Xeon 5110 CPUs @ 1.6GHz Server 1 is a Dell PE2950 with 32GB of RAM and 1 quad core Xeon E5420 CPU @ 2.5GHZ I have seen this happen before on Windows 2008 x64 without R2, and I've used DynCache http://www.microsoft.com/downloads/en/details.aspx?FamilyID=e24ade0a-5efe-43c8-b9c3-5d0ecb2f39af&displaylang=en to resolve it. However, DynCache is not supported on Windows 2008 R2, and it's not supposed to be needed on R2 because the problem was supposedly fixed / solved. Interestingly, I only have the issue on one of the two R2 servers. In task manager on the problem server, as soon as I start the file transfer, I can watch the available memory begin to drop. At the moment I have 24GB of RAM in the server, and about 16GB of that is available. Once 16GB of the 50GB file has been transferred, the available memory gets down to 0 in task manager, and then the transfer rate tanks. The OS was installed just a week or two ago. It has Hyper-V and SNMP installed, as well as the latest Windows updates. I then installed the File Services role as well, but the problem still exists. Nothing else has been installed. Clearly there is still an issue here in Windows 2008 R2, but it doesn't seem to affect all servers in all situations. There are also clearly other people having the same problem, but to my knowledge Microsoft has yet to acknowledge or address the issue in Windows 2008 R2. Can anyone help? Thanks. Hi DougZuck, Thanks for posting here. I would suggest to check if this issue persist with perform the commands below to disable the TCP Chimney Offload/Receive Side Scaling feature in Windows server 2008 R2. netsh interface tcp set global rss=disabled netsh interface tcp set global autotuninglevel=disabled Reboot the server For background information, please refer to the article below: Information about the TCP Chimney Offload, Receive Side Scaling, and Network Direct Memory Access features in Windows Server 2008 http://support.microsoft.com/kb/951037 Thanks. Tiger Li TechNet Subscriber Support in forum If you have any feedback on our support, please contact tngfb@microsoft.com Please remember to click Mark as Answer on the post that helps you, and to click Unmark as Answer if a marked post does not actually answer your question. This can be beneficial to other community members reading the thread. Thank you for your response, Tiger Li. I followed your instructions and did the following, but the problem still exists. netsh interface tcp set global rss=disabled netsh interface tcp set global autotuninglevel=disabled Reboot the server Any other suggestions? Thanks. Hi DougZuck, Thanks for update. Are there any error occurred in event log ? Please verify which application’s memory usage is increasing by perform “perfmon.exe /res” to use resource monitor when large file transfer begin. What if remove installed roles(hyper v , fileserver ,snmp) on server, is this issue persisted? Please update the latest firmware for NIC and RAID controller . Thanks. Tiger Li TechNet Subscriber Support in forum If you have any feedback on our support, please contact tngfb@microsoft.comPlease remember to click Mark as Answer on the post that helps you, and to click Unmark as Answer if a marked post does not actually answer your question. This can be beneficial to other community members reading the thread. No event log errors Resource monitor shows SYSTEM increasing in memory usage when the copy starts RamMap confirms that the file that's being copied is what's being cached The problem still exists when FileServer role and SNMP are removed. I'm not able to remove Hyper-V from this server because it needs to continue hosting virtual machines. Firmware for NIC and RAID are already latest versions. The issue is clearly an OS issue. The issue existed in 2008 x64 without R2, so I'm not surprised that it also exists in 2008 R2. The problem is that at least in 2008 x64 without R2 you could use DynCache to work around it, but DynCache unfortunately cannot be used on 2008 R2. Additionally, in 2008 R2, the problem seems to only exist on some servers. It's unclear why this is the case. Thanks. No event log errors Resource monitor shows SYSTEM increasing in memory usage when the copy starts RamMap confirms that the file that's being copied is what's being cached and what's using up all the RAM The problem still exists when FileServer role and SNMP are removed. I'm not able to remove Hyper-V from this server because it needs to continue hosting virtual machines. Firmware for NIC and RAID are already latest versions. The issue is clearly an OS issue. The issue existed in 2008 x64 without R2, so I'm not surprised that it also exists in 2008 R2. The problem is that at least in 2008 x64 without R2 you could use DynCache to work around it, but DynCache unfortunately cannot be used on 2008 R2. Additionally, in 2008 R2, the problem seems to only exist on some servers. It's unclear why this is the case. Thanks. How are you performing the file copy? I think you're seeing the effects of a buffered file copy. Try using XCOPY with the new /J switch to do an unbuffered file copy. I've been able to move roughly 4GB per hour between servers using that new switch, with no ill effects to the servers themselves. Is it possible that whatever you are using to copy the files (may be windows explorer itself - which is a poor method to use if copying that much data) simply isnt releasing the used memory properly and when it slows down its actually utilizing the pagefile for memory? I personally would use Robocopy for a job like this and its worked very well for me. I have not noticed the exact speed of the transfer's but typically its limited to the slowest component in the transfer, HDD, SAN, NIC, HBA, CPU, LINK, Switch, etc. Just a thought. But since you only see the behavior on one server and not both i would assume some kind of problem on one server that is apparently going to be hard to identify. Yes, that's true. 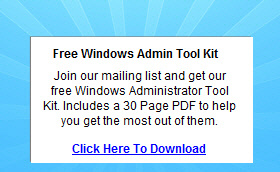 However, please also note that this is a brand new installation of Windows 2008 R2. The server was then joined to the domain. Then Hyper-V was installed and Windows Updates were applied. Nothing else was done (except later installed FileServices role just to see if it might fix the caching issue, but it didn't). Additionally, I have seen numerous other postings on the web from other people seeing the same behavior in 2008 R2. The issue seems pretty clearly an OS issue, especially since it also exists in 2008 x64 without R2. But again, I'd like to highlight that in 2008 without R2 you could use DynCache to modify the caching behavior. DynCache, however, is not supported on 2008 R2. This sounds like the disk is not able to keep up with the network throughput. A perfmon to see the caching would help in troubleshooting this. If the server is not primarily a file server you can configure the following so that there is less emphasis on caching: HKLM\SYSTEM\CurrentControlSet\Control\Session Manager\Memory Management LargeSystemCache=0 (DWord decimal) If the server/applications are slowing down because it is running out of memory then you can configure the OS to try to keep a little more padding. By default a 64bit OS will try to keep available memory at 64MB or higher. 64MB limit is good because that means the OS can use the extra memory not being used to cache files in memory. Memory is much faster than disk access. However if your system has large spikes in memory usage then setting a higher Low Memory Threshold might prevent some sluggishness during sharp high memory demands. Below is a sample configuring it to 200MB HKLM\SYSTEM\CurrentControlSet\Control\Session Manager\Memory Management LowMemoryThreshold=200 (DWord decimal) Windows 2008 R2 has improved memory management algorithms in comparison to windows 2008. Windows 2008 R2 should not need Dyncache beyond the following hotfix that further refines the new memory management algorithms. 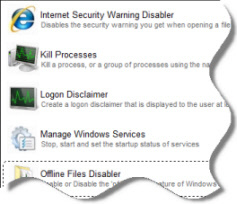 979149 A computer that is running Windows 7 or Windows Server 2008 R2 becomes unresponsive when you run a large application - http://support.microsoft.com/default.aspx?scid=kb;EN-US;979149 Anything further than this would require a paid incident to fully troubleshoot what is happening to the memory on your system further. Hope this helps David J. This posting is provided "AS IS" with no warranties, and confers no rights. Please remember to click Mark as Answer on the post that helps you, and to click Unmark as Answer if a marked post does not actually answer your question. This can be beneficial to other community members reading the thread. I'm having same issue when copying from drive to drive on Windows Server 2008 R2 with hyper-v role test server. Used physical memory goes up and down during copying process, system responsiveness overall is very bad. How come MS does not solve this? There is a lot of posts on many sites about this issue. Hi, We have to analyze the SMB packets , please collect simultaneous netmon / ethereal traces between server 0 and server 1 and another simultaneous trace between server 1 and server 0. You have to make sure that a) start the trace b) reproduce the problem c) stop the trace. upload it to your ftp / location from where i can analyze the data. Hi I have a very similar problem. In my case, it is a brand new Dell R415, Server 2008R2 and Hyper-V installed. Interestingly, the problem only occurs when copying files to and from iscsi drives. For example, one of iscsi devices is a Netgear ReadyNAS. If I map a SMB share, a 10GB file will copy at 11.5MB/Sec (100mbps network) as expected with no rise in memory usage. Copy the same file to the same device, but this time to a mounted iscsi path and the memory usage rises until it is maxed out. This is on the Lan network using the onboard broadcom NICs. We have a Broadberry SAN on a separate ISCSI gigabit network with managed switch connected to a dual Intel PT NIC on the same R415 server. Copying files to this device exhibits the exact same behaviour. We also have an older Dell 1900, 2008R2 on the same network. This too has hyper-v and connected to both networks and doesn't have the same issue to these devices. As we are a Gold partner, I have opened a case with MS on Monday using one of our incidents. The performance team and networking team are both taking turns at solving this issue, but nothing as yet. The latest is they have done exactly what Sainath has suggested and are currently examining the netmon traces. In the meantime, if anyone has any suggestions, they would be very well received! Anything heard back from MS yet? Simon? We also see this behavior on our iSCSI Sans, all 3 IBM DS3500 SAN's, and all IBM x3650 M2's as hosts, (some in cluster confugrations, some not. Performance degrades so badly that IO issues crop up with the running Hyper-V images, and start crashing those (putting them in critical, or saved state. Tjhis occurs even on hosts with 96 GB of RAM. IOPS on the iSCSI SAN do start to peak and hit critical thresholds, so I'm assuming the server starts buffering and caching rhe copy to memory when it cant write tot he disk. This causes hard faults in the memory and kills the file copy and even the running images, as I mentioned before. I think it has to do more with SAN throughput though, because if we have two Shared CSV's, the RAID 10 SAS array images chug along happily, while the images running on SATA start dying. A fix, or explaination would be hugely helpful as I've been struggling with this for over a year now. Has anyone tried the ESUTIL as outlined in this Blog: http://blogs.technet.com/b/askperf/archive/2007/05/08/slow-large-file-copy-issues.aspx ? Hi Guys Sorry for the delay, work committments etc.. I worked with Microsoft for the best part of two weeks, but unfortunately they did not come up with an answer. We had the performance team, iscsi team and network teams all working on this but no useful answer. To be honest, I now don't think there is a single answer. Using Jperf (iperf) on default settings, I now have a wirespeed of 600mbps, not perfect, but usable. I achived this using a mixture of windows TCP tweaks from Starwind's site http://www.starwindsoftware.com/forums/starwind-f5/recommended-tcp-settings-t2293.html, updating all the network card drivers, and changing and matching EVERY setting on the SAN and Hyper-V server until I got a result. According to anyone who knows anything about ISCSI, I should be getting 950mbps wire speed. But with the effort I have put into this, a consistent 600mbps is acceptable. We have an older Dell Powerconnect GB switch. Interestingly, jumbo frames made things worse. Though I believe there are differences between switches as to whether they use 9014 or 9000 MTU size. Sorry I don't have a fix, but try the starwind info above. There is another thread about offloading and hyper V, that makes a differnce too. Changing and matching settings helps, as does updating the drivers. The last driver gave me 30mbps extra. As for measuring, I like Jperf, but Iometer appears to be a professional tool for measuring wire speed and disk reads / writes, though I've not tried it yet. We have been experiencing this issue for over a year on two different hardware platforms; one running Win 2K3 x64 Ent and the other running Win 2k3 ia64 both attached to SAN. I'm pretty sure this issue will arise no matter the OS version. The source drive seems to be the issue in some cases only being able to read about 500kbs to 8mbps. The activity on the SAN is almost non existant as is the destination on our virtual library. Our process is to run a nightly full SQL backup to a consolidated file server. Then our backup software backs up that consolidated volume to a virtual library. Both the SQL backup and the backup to virtual library have this same issue. The originating server is obviously a SQL server. We have many SQL servers that send backups here. The consolidated backup file server is also a SQL server. The virtual library is just a backup solution. mgr34 - thanks for the input, but I really don't think the issue you're experiencing is the same as the issue being discussed in this thread. Thanks. mgr34 - thanks for the input, but I really don't think the issue you're experiencing is the same as the issue being discussed in this thread. Thanks. I believe it is as the performance related to available memory is identical to what you described in the original post in the 2nd to last paragraph. It is more visible on our SQL server because of the way memory is allocated for SQL. We would usually have about 6-8gb of memory free for the OS and other services. Last night we configured SQL to free up 50gb of memory prior to the backup running and we saw the performance hold out until that 50gb was used up by the file copy. Do you agree that sounds like what you're dealing with? Today I was working on a Windows 2008 R2 server with 2 MPIO iSCSI connections to a volume. As mentioned in my test above, we started a file transfer, but in this case we were copying from an iSCSI volume to a local physical volume. The transfer rate was ~18MB/s. We started IO Meter doing a write to the source drive as I had done in my test above, and once again, the rates jumped to 155MB/s. In this case it is a physical server, not a VM. So, I am really curious what IO Meter does that it "opens" up the communication. Any ideas what IO Meter is doing? Unfortunately I'm now experiencing the same issue on a different Server 2008 R2 machine, but this one doesn't have Hyper-V or any additional server roles. Also, just as a point to Lazarus's post about KB2505438, it doesn't seem to have any impact on the issue on either of the machines that I see the problem on. Hopefully Microsoft will address this issue at some point. Thanks. I’ve had my hyper-v server (Windows Server 2008 R2) attached to my SAN for about one year without any performance issues. Normally I get about 100MB/s read and write performance. My server is a Dell R710, 4 NICs dedicated to iSCSI with Round Robin. Two weeks ago I upgraded the server hardware and also did a complete OS reinstall. After the upgrade read performance has dropped to about 30MB/sec. Except for the difference in hardware (additional CPU and RAM) the configuration is exactly the same. KB2505438 did not resolve my problem. We have a few VM hosts HP DL585G2 and a DL385 G5 both having the same issue. After making some changes I have been able to get a 75GB file to copy from a Physical server to a VM guest. After making the following change On the VM host & some on the VM guests I have had better luck copying large files. 1) applied all the latest windows updates (including sp1 for 2008 R2) Including KB2505438 everything but IE9. 2) My config has a nic for each vm, currently 3 vm per host and the HOST has a total of 6 interfaces. 2a) disable all un-used interfaces. 2b) disable power mgmt to turn off each interface. 2c) NIC Properties I only checked Microsoft Vitrual network switch protocol and HP Network Configuration Utility. -ON the VM HOST I do not have any IP4 or 6 checked everything is unchecked... only thing checked is listed in 2c. 3) On the VM guest the Network Interface has everything checked 3a) I have seen aticles that talk about unchecking TCP Checksum offload, however I have not made any changes there. 3b) install all the windows update on VM guest. 4) Shut down vm guest 5) reboot VM host 6) power up VM guest and try the copy again. During this copy my disk write avg was 36 MB/s 5/13/2011 --- I am two for two now on large file copies after making these changes. On Monday I will try again, and the try on my other VM server that was having issues. To be more clear on what my issue was, which I believe is what others are experiencing: When copying large files they fail and all memory marked as FREE become used. The error I would get when the large file copy fails An unexpected error is keeping you from copying this file. I fyou continue to receive this error, you can use the error code to search for help with this problem. Error: 0x8007046A: Note enough sever stroage is available to process this command. My file copys... I RDP into the VM and UNC or map a drive to a phyiscal server and copy the file over. Additionlly when watching task manager performance tab I see all memory posted under FREE get used up. This sounds like the issue others are experiencing. Todays test failed... calling MS to open a ticket. My case was solved using Tiger Li’s suggestions: netsh interface tcp set global rss=disabled netsh interface tcp set global autotuninglevel=disabled Reboot the server http://support.microsoft.com/kb/951037 The server users Broadcom nics for iSCSI.